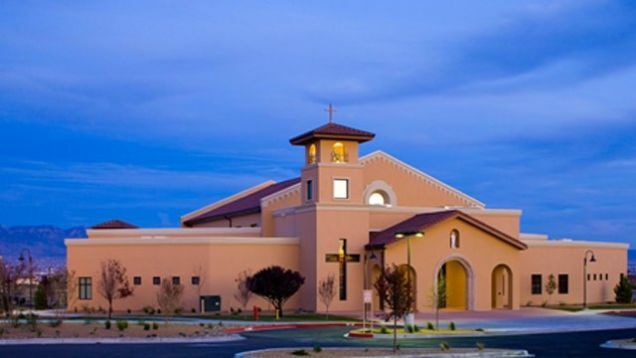 An attacker stabbed four members of a church choir in Albuquerque today, rushing in as the choir began their closing hymns and shouting "Fake preacher!" before stabbing the victims. "I looked up, and I saw a young man with a very scary look in his eyes—fury, anger, hatred," choir member Brenda Baca King said. "He had a knife and was attacking our soloist, and our flutist tried to protect him and got stabbed also." All four victims sustained non life-threatening injuries and were treated at the hospital.